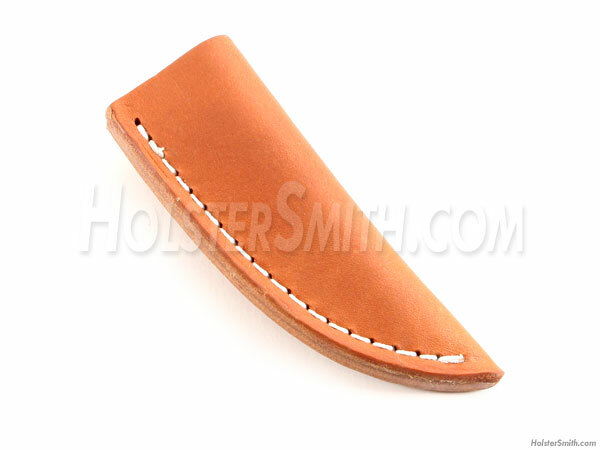 This sheath model is a veggie tanned, USA made leather pouch-style universal design with a built-in riveted belt loop. It is stitched with heavy duty nylon thread and is very stout and sturdy. Easy to care for, just use Neat's foot oil (or similar) to keep outer clean and protected.